Rosemont's five year Nursing Program is through collaboration with Drexel University College of Nursing Accelerated Career Entry (ACE) program. Our seven-year medical programs are through collaboration with Philadelphia College of Osteopathic Medicine, and University of the Sciences. We offer six Master's and three Doctorate degrees in the healthcare industry through our collaboration with Salus University. Take advantage of Rosemont’s 4+1 partnership with Drexel University, wherein students earn a BA in Biology at Rosemont College before completing their BSN through Drexel University’s Accelerated Career Entry program. The ACE 11-month option is a full-time nursing program for individuals who can commit to class and related course activity during the day, five days a week. The intensive course of study provides students the opportunity to fast track their nursing career in four consecutive ten-week terms. Rosemont students who apply to Drexel University's Accelerated Career Entry (ACE) program and meet the program's requirements are guaranteed admission*. Rosemont is the only college in Pennsylvania offering this unique partnership. For the 4+1 program, Drexel University shall consider applicants for the College of Nursing and Health Professions Accelerated Career Entry (ACE) program during their senior year at Rosemont College. Candidates must have completed or currently be enrolled in the required prerequisite classes. Rosemont recommends majoring in Biology following the Pre-Health Track to meet the prerequisite requirements. *Up to 5% of the cohort. Qualified candidates for the 3+4 program enter Philadelphia College of Osteopathic Medicine after three years of undergraduate study at Rosemont and will have their undergraduate degree awarded after the successful completion of the first year of medical school. For the 3+4 Program, PCOM shall consider applicants during their junior year at Rosemont College. The candidate must earn an overall and Science GPA of 3.75 and a minimum MCAT composite score of 500 and at least 125 in each individual section. For the 4+4 Program, PCOM shall consider applicants during their senior year at Rosemont College. The candidate must earn an overall and Science GPA of 3.25 and a minimum MCAT composite score of 500 and at least 125 in each individual section. Take advantage of our new 3+4 partnership with the University of the Sciences and earn two degrees — both a BA in Biology from Rosemont and PharmD from USciences — in as little as seven years. Ranked by U.S. News & World Report as the area’s top pharmacy school, the USciences PharmD program mirrors the complex realities of modern practice, preparing students to thrive in today’s pharmacy environment. The curriculum builds on foundational knowledge and skills, encouraging proficiency in a range of subjects, from human disease and pharmacology to pharmaceutics, therapeutics, and pharmacoeconomics. Students benefit from hands-on experience gained through more than 300 clinical affiliation partner sites across the country—including some of the most renowned hospitals, medical centers, pharmaceutical companies, and regulatory agencies. With the partnership, USciences will reserve up to five percent of the seats in their PharmD program for Rosemont students who meet the requirements. Eligible students will spend three years at Rosemont before transferring to the USciences’ four-year PharmD program. While matriculated at USciences, students will receive their BA in Biology from Rosemont once they have successful completed all requirements. 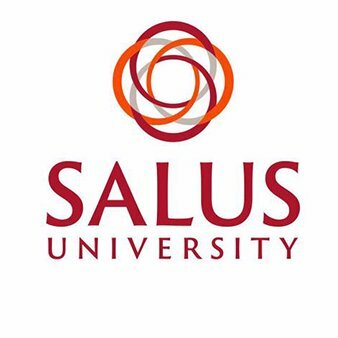 This partnership enables Rosemont undergraduates to apply for Master’s Degrees and Doctoral Degrees from Salus University upon completion of their Bachelor’s Degree from Rosemont. The Salus programs either guarantee an interview or a reserved seat for Rosemont students when they meet the admission and prerequisite requirements.